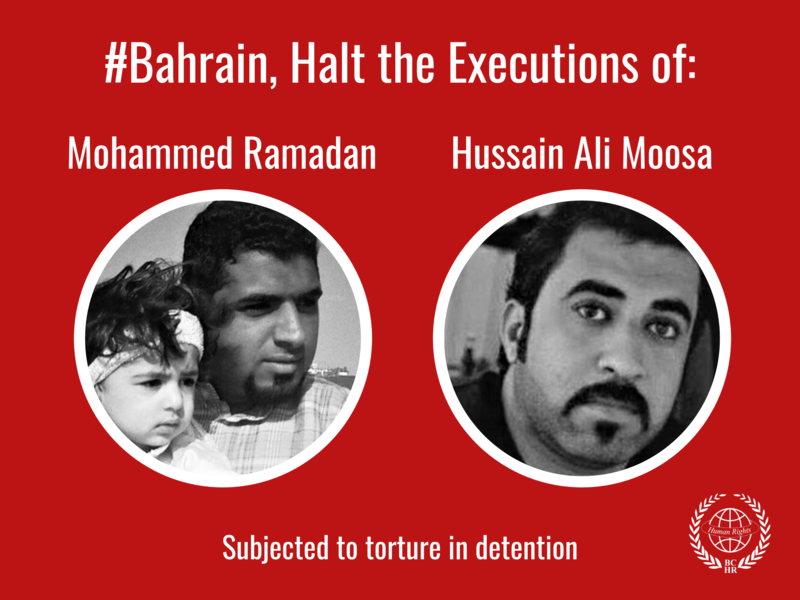 The Bahrain Center for Human Rights and the Bahrain Youth Society for Human Rights express their deep concern for receiving information on a serious deterioration in the health of the Bahraini detainee in the Saudi prisons Mr. Abdul-Raheem Al-Mirbati, who has been arbitrarily detained without a clear charge and without presenting him to any judicial body. They also express their concern and protest for the arrest of the BCHR's president Nabeel Rajab for his solidarity with Al-Mirbati's family in front of the Saudi embassy in Manama on Tuesday 25 August 2009. Several weeks ago, and in protest against the arbitrary detention of Al-Mirbati, his wife (Um-Usama) who is wheelchair bound is sitting with one of her sons and one of her daughters from 10 o'clock in the morning every Tuesday in front of the Saudi embassy in Manama for one hour. She had informed the BCHR that she intends to continue her protest in front of the Saudi embassy on a weekly basis until her husband is released. Nabeel Rajab was present in the protest on Tuesday 25 August in solidarity with Al-Mirbati family. 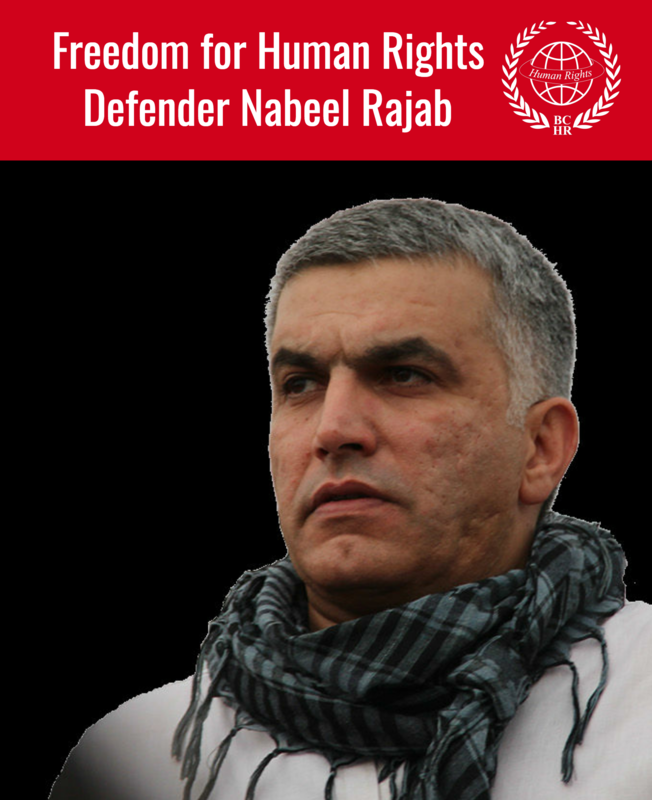 Before the protest was over a security force made up of three cars and headed by the officer Ahmad Fleifel came and arrested the four protestors and they are three from Al-Mirbati's family and Nabeel Rajab. Fleifel insisted on taking the four to the police station in Um-Al-Hassam, in the police car and refused that they come in their personal cars. The BCHR president stayed for almost two hours in the police station before he was permitted to leave and he was warned that any future protest in front of the Saudi embassy will be suppressed by force by the riot police even if the protestors were only four people. Note that the Bahraini law allows the security forces to intervene to disperse any gathering of more than four people in a public place without prior permission. The Bahraini detainee Abdul-Raheem Al-Mirbati (50 years old) is a father of three boys and three girls; he is detained in the Saudi prisons since 7 years without being presented to any judicial body. He is languishing in a solitary cell with almost no air and access to the outside world. Since the moment of his arrest, Abdul-Raheem Al-Mirbati has been transferred to several Saudi prisons, the first was a prison in Medina then Jedda, Riyadh, Asir and was finally brought to the prison of the Eastern Region. Based on what members of his family stated, Al-Mirbati faced in the early years of his detention the worst types of torture, including electric shocks and beating all parts of the body, strapping the legs and hands with heavy metal chains throughout the period of imprisonment, he was even left for years with his hands and legs tied and his eyes covered all the time. Since his arrest, Al-Mirbati is languishing in a small solitary room where he can hardly stretch and lay in, and in light of cold weather without blankets or sheets sufficient to cover his body. Al-Mirbati suffered recently from severe bleeding which is feared to be life-threatening. Since the moment of his detention, his health and mental status led to the loss of half his weight and his eyes protruding, and is almost losing his ability to speak or eye-sight. His family asked the prison administration to present him to a doctor to identify his health condition and if it is life-threatening, however this request has not been responded to until now. Since his arrest and until now, no one knows why he has been arrested or why he has been kept for such a long period, and that he has not been presented to any judicial body. His wife (Um-Usama) and his family, who he has been supporting, are living in a severe mental suffering for not being able to do anything that can help in the release him. It is believed that due to the suffering and mental pressure, the wife suffered from a stroke that resulted in a physical disability, which made her lose her ability to stand or walk, and was a reason for her stopping to visit her husband in jail since more than two years. During his stay in prison, his mother passed away without seeing her son since his arrest, or being able to say goodbye. His children are usually permitted to visiting him in prison twice a month, on the condition that the period of the visit does not exceed 30 minutes of a recorded and taped visit with videos installed in the ceilings and walls of the visit room, and with the presence of Saudi security officer who sits between Al-Mirbati and his children. Whereas the Bahraini government failed to take any action or measure to return its citizen Abdul-Raheem Al-Mirbati from the Saudi prisons, it has not even made any statement or presented any protest to this inhumane position from the Saudi authorities, it even failed to demand that he be presented to court. We saw that it instead intimidated Al-Mirbati's crippled wife and her children who are peacefully protesting outside the Saudi embassy, by threatening them to use violence if they returned to protest in front of the Saudi embassy, indifferent to the sufferings that this family is living who lost their supporter since seven years without any known reason. The Bahraini government's indolent attitude raises suspicion on its complicity with its neighbor Saudi Arabia in keeping Al-Mirbati detained in an arbitrary manner for such a long period. Since the Kingdom of Saudi Arabia is a member in the Human Rights Council, it consequences international obligations on it more than any other country towards the international conventions and human rights standers, and it is expected to respect the international human rights law and covenants that it is part of. Article 9 of the Universal Declaration of Human Rights states that, "No one shall be subjected to arbitrary arrest, detention or exile", and Article 9 of the International Covenant on Civil and Political Rights states that, "Everyone has the right to liberty and security of person. No one shall be subjected to arbitrary arrest or detention. No one shall be deprived of his liberty except on such grounds and in accordance with such procedure as are established by law. Anyone who is arrested shall be informed, at the time of arrest, of the reasons for his arrest and shall be promptly informed of any charges against him. Anyone arrested or detained on a criminal charge shall be brought promptly before a judge or other officer authorized by law to exercise judicial power and shall be entitled to trial within a reasonable time or to release. It shall not be the general rule that persons awaiting trial shall be detained in custody, but release may be subject to guarantees to appear for trial, at any other stage of the judicial proceedings, and, should occasion arise, for execution of the judgment." 1. The prompt release of Abdul-Raheem Al-Mirbati from the Saudi prisons. 2. He must be immediately removed from the solitary cell and be placed in a cell shared with others, until he is released. 3. Be presented to a specialized doctor and to provide him with the necessary treatment, and to inform his family of what he is suffering from and how serious it is. 4. Investigating the torture and abuse claims he faced, and to bring to trial whoever is proven to commit those crimes. 5. Compensating the long period of illegal imprisonment and to bring those responsible for that to trial.